I just want you to know that I am praying for you. I am praying for you as you raise your sweet babies, because I know how hard it can be at times. I am praying that God would give you grace and wisdom; strength and help. 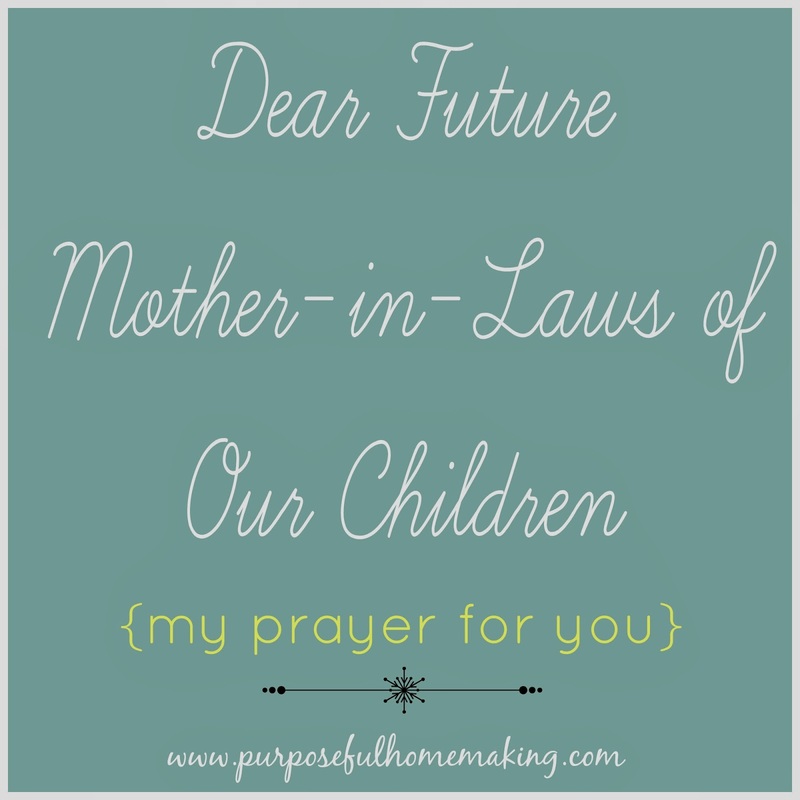 Raising children in this world takes a lot of work, prayer, and sacrifice. And sometimes it can be downright scary. But I want you to know, I pray for you often because your sweet children will someday be my sweet children and my sweet children will be yours. You, your husband, and your child are written down in my prayer journal. I know that most likely I don't know you yet, but I pray that each of our children would give their lives to Christ, that they would be wise, love the Lord, seek purity in their choices, and that they would love God more than they love their sin. I pray for you because I know how tired you must be right now (after all, we're probably in the same stage of life). I pray for you as you take care of sick children--that you would not fear, that you would have wisdom, and that you would make it through the sleepless nights wiping their feverish brows--because some day they're going to wipe our grandbabies' feverish brows. Mostly, I pray that God would guide and direct you through His Word as you care for your family. I pray that He would encourage you as you fulfill this calling of motherhood and that you would hear and follow His voice above all others.